As anyone who has read a few posts here knows, I obsessively attempt to categorize the places I visit as consistently as possible. Sure, some “museums” are tenuously “museums,” but I have my criteria and I stand by it. Less frequently I go somewhere that is clearly not a museum (by any definition), but surely looks and feels like one. 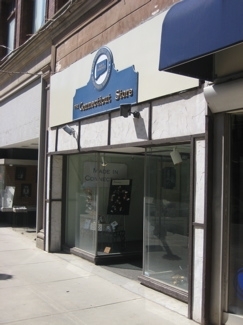 Waterbury’s Connecticut Store is perhaps a place that blurs that line. It is clearly a retail store and does not pretend to be anything but a retail store so I won’t consider it a museum for a millisecond. And yet… It nags at me, pulling and prodding me to figure out a way to call it a museum. To wit: It maintains non-businesslike hours. It is housed in an important and historic building which warrants a CTMQ post of its own. It is owned and operated by a slightly eccentric, highly knowledgeable, and very proud Nutmegger named Hank Paine. It operates wholly within a singularly unique niche market. 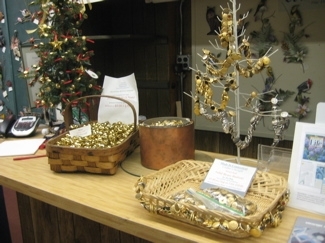 It has strong ties to local manufacturing history and even has “exhibits” to educate visitors – err, shoppers – about that history. The local (Waterbury) Hall of Fame is housed under the same roof. You see? 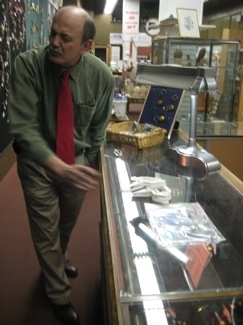 The Connecticut Store is as much a museum as many places I’ve visited that call themselves museums – and much MORE of one than several others. Alas, it is not a museum, and I must come to grips with that fact. 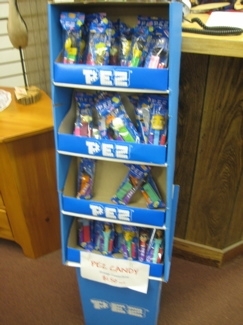 And Pez. 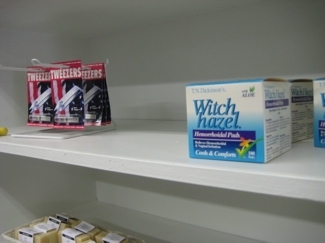 And Wiffle Balls… Tuna-Mates, Woodbury Pewter and bottles of Witch Hazel – all in the same aisle? Nowhere. 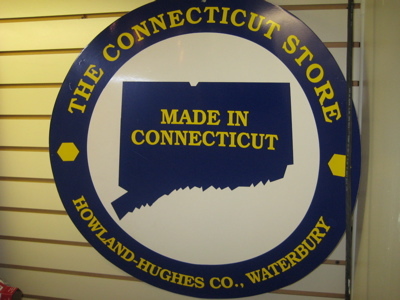 Welcome to The Connecticut Store, the store that only sells stuff made in our fine state. I first visited the building – but not the official store – during the acceptance soiree of state Representative Chris Murphy. Hero to all, EdHill, invited me and quite frankly, I only went for the free food. 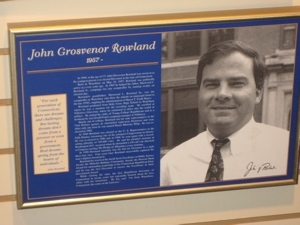 Oh, and the fact that it was in the historic Howland-Hughes Building. My decision was fortuitous because, as it turns out, the non-active store section of the building isn’t usually open to random visitors like me to poke around in. While everyone else was celebrating, I walked around and peered into every nook and cranny of the large room. I was treated to several clues as to what the actual Connecticut store held on the other side of the wall. 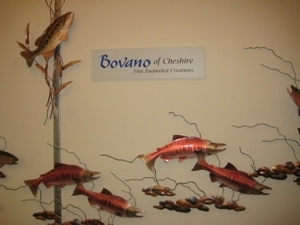 Waterbury brass buttons, Bovano sculptures from Cheshire… Stuff like that. But the real coup of being in that room that night, aside from appearing on every local news broadcast in the background pretending I cared about a winner whose district I don’t even live in, was having a chance to enjoy the Waterbury Hall of Fame. You can read about that in greater detail on the page about the building itself; and I suggest that you do. Two inductees: Governor Rowland and Bob Crane. Stand-up Waterburians both. I can’t determine when you can go and enjoy the Hall of Fame yourself, but I suspect rather infrequently. My interest was certainly piqued as to what the Connecticut Store held behind its locked doors that night. 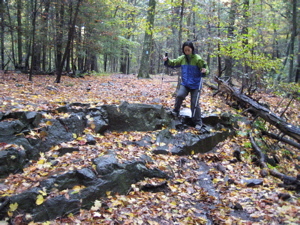 I decided to go check it out before what turned out to be an really nice hike over at the Hancock Brook Trail, also in Waterbury. 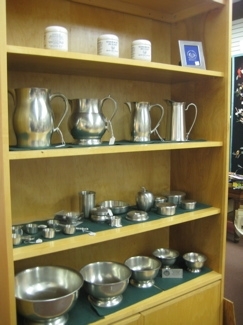 The store is owned and operated by Hank Paine, the third generation of his family serving the Greater Waterbury area. 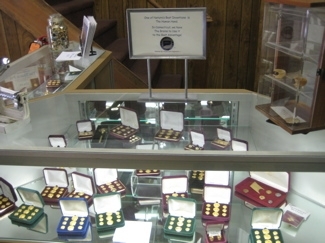 Hank, along with his father and grandfather (Ralph and Morris) were recognized in 2003 through their induction to the Waterbury Hall of Fame and were part of the Howland-Hughes department store legacy. 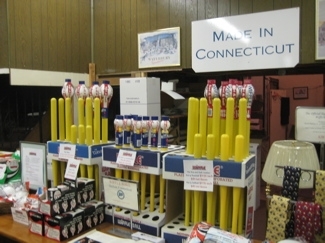 The Connecticut Store celebrates Yankee ingenuity and a legacy of products created right here in the great state of Connecticut. For instance, did you know that when the Titanic set sail in 1912, Waterbury was proudly represented by the brass buttons on each uniform worn by Titanic staff? 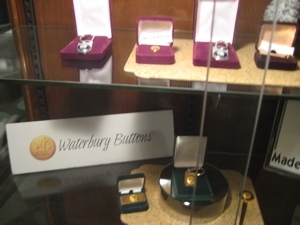 This same Waterbury manufacturer has provided the buttons for the world-famous ‘Green Jacket’ presented to the winner of The Masters golf tournament each spring. 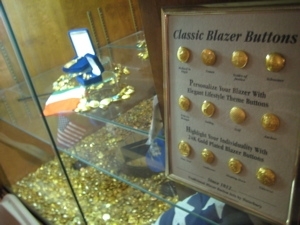 (And, of course you’d like to read about my visit to the Waterbury Button Museum! I entered the store and within a minute or two, the effusive Mr. Paine positively leapt out from behind the sales counter and introduced himself. I, of course, under the auspices of collecting data for my massively read website was treated like royalty. In that role, I of course took a bunch of notes during my visit – notes which I’ve since lost. Sigh. But no matter, Mr. Paine left such an indelible impression on me that I can recall most of what we spoke about even if I’m writing this seven and a half months later. Stuff like the following conversation which I’ve repeated to other people like me interested in promoting a state which does such a poor job of promoting itself. “And Maine?” his survey continued. “Guns, jet engines, nuclear submarines and insurance – not exactly household items I’m in the market for right now,” one woman snapped back. We’re the outlet for the incredible manufacturing excellence that is Made In Connecticut. Please join us as we celebrate the creative products of Wiffle Ball Inc, Bovano, Woodbury Pewter, Waterbury Button Co, PEZ, Liberty Candle, Alynn Neckwear and many more. 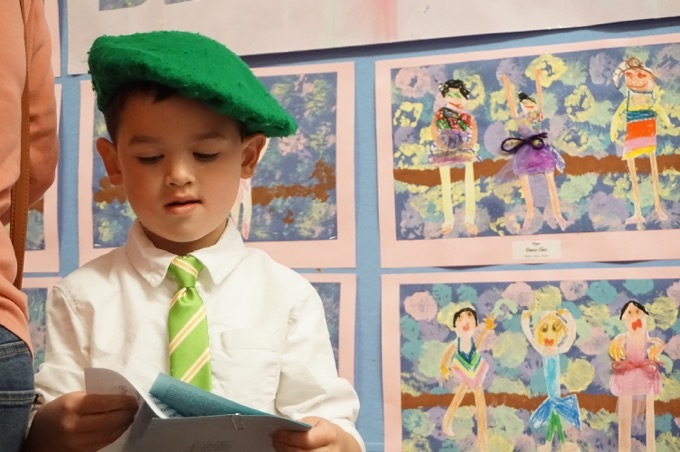 We hope to help you discover the legendary quality, innovation, and value of products Made In Connecticut. Okay, only two of those companies are household names, but like I said, Paine wants to change that. And best of all, one needn’t be an established company to get your product placed in the store. All you need to do is produce your widget within the state’s borders. In fact, I was privy to an inventor selling Paine on his latest creation in hopes to get some shelf space. The older gentleman’s idea was essentially hard plastic stakes to be used on the four corners of a tarp to hold it down while raking leaves onto it. Paine was ecstatic about the idea and encouraged the guy to go forward with production. I politely observed and wondered why rocks – or really pretty much anything lying around – wouldn’t serve the same purpose, but who was I to judge. I wish that gentleman luck in his leaf tarp stake endeavors. I was left alone awhile to poke around on my own. So poke I did. The variety of stuff made here is pretty impressive. And even the stuff we all know about, like Wiffle, produces far more than I ever realized. Like a Wiffle tie. Paine, by the way, would wear this thing. With pride. 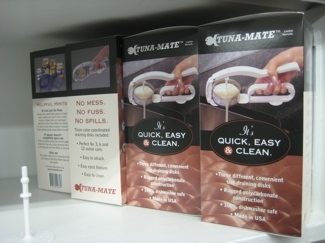 One of my favorite items in the store is the Tuna-Mate. You can read the inspiring Tuna-Mate story here (and note that the picture contains cans with pull-top lids), but it certainly is one of those products which was needed. I had no idea that El Mar, a company that only makes tweezers, was in my hometown of West Hartford. There’s more in the store (much more), but you get the point. Hank Paine is a man on a mission – a mission which CTMQ wholly endorses. I am looking for prints of the places in the city of warerbury. 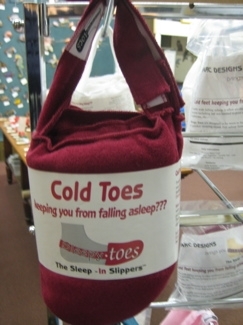 these were sold by the lions club a few years back. one was the warering place for horses on the green. harvey weiner was selling them in the mall one christmas. i thought maybe you had some of these. I was looking foe more. Send me one million dollars and I’ll get you those prints of those places in the city of warerbury. Emily, you’ll be far better off contacting the actual store and not a website written by a guy who just travels around and writes about stuff. Is this store closed now?